To create and annually deliver an iconic tourism focused cycling event to generate an economic benefit to the Causeway Coast and Glens. “The Giant’s Causeway Coast Sportive helped us to meet the outdoor recreation objectives in the Council’s tourism strategy. The Sportive received tourism event funding from the council and the benefits far outweighed the financial support!. The Sportive would not have happened without Outdoor Recreation NI at the helm and the team has been great to work with. We are delighted to support the Sportive and hope the event will continue to grow in the years to come”. “September is traditionally a quieter time for our guest house, but as a result of the Giant’s Causeway Coast Sportive we are now fully booked during the annual event, doubling our normal occupancy rates for the period. The Sportive creates a festive atmosphere in the town as some participants bring along their families for a day out. Many of our Sportive guests also return at a future date with their families or on group cycle trips, so it generates bed nights at other times too. 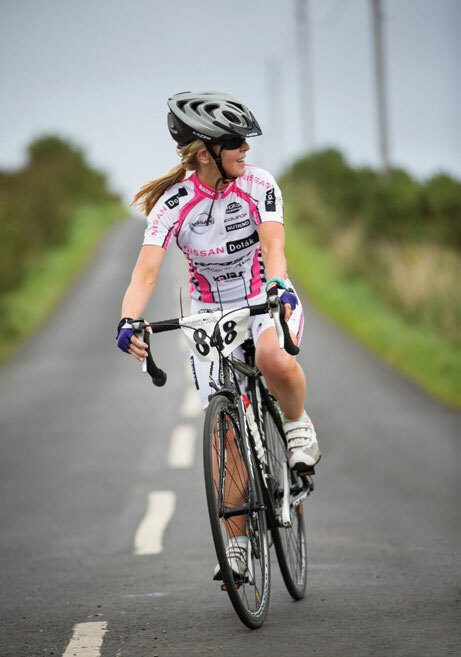 The Sportive helps to put Ballycastle on the map for visitors from all over Ireland and further afield”. The Giant’s Causeway Coast Sportive is largely self-funded through competitors’ entry fees however it has received previous funding from Causeway Coast and Glens Borough Council and Tourism Northern Ireland. The principle event sponsor from 2012-2017 has been Chain Reaction Cycles. Tayto, Sportif Magazine, Outsider Magazine, High5, White’s Oats, Volvic Water, Anti Snack and Muller Rice.